Doug Burns built this Shearwater 17 from a Chesapeake Light Craft kit. The honey colored hull is Okoume plywood, the dark red deck Sapele. She has an LOA of 17′ and a beam of 22″. Designed by Eric Shade, she weighs about 45lbs. 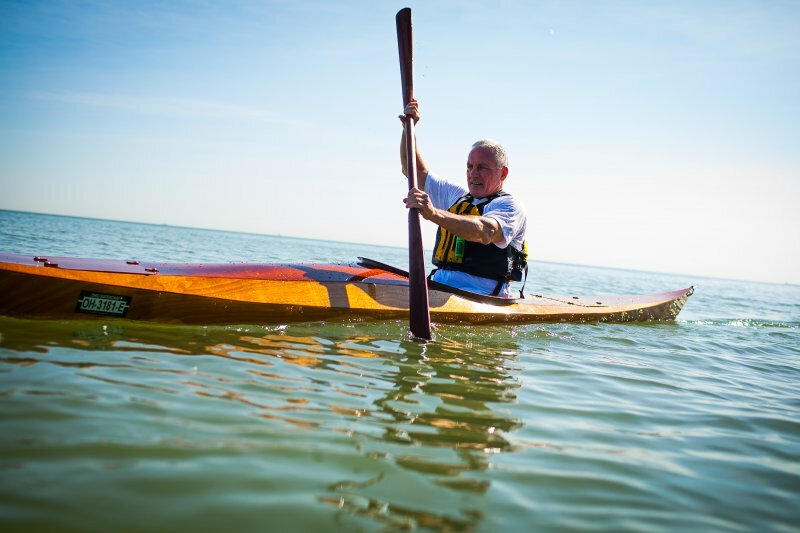 Doug’s wife, Sara, will paddle in Lake Erie off the shores of Rocky River, OH. 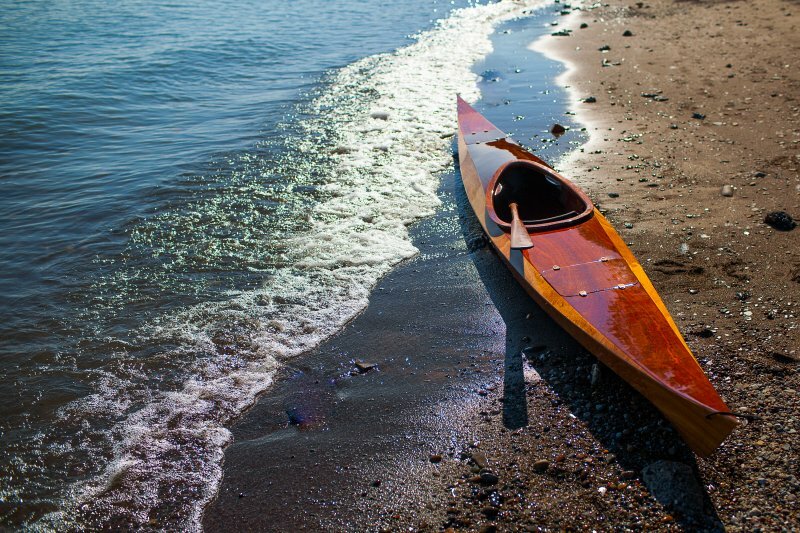 Doug may paddle some too. Photos by Billy Delfs at www.billydelfscom, kits available at www.clcboats.com.